Essential to fight the early organism ageing, these “therapeutic” elements are contained in the plant commonly known as NONI. 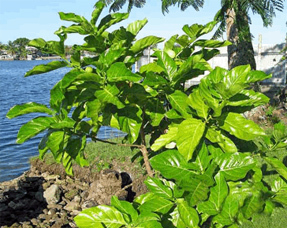 The NONI (Morinda citrifolia) is an evergreen plant looking like both a small shrub and a tree it may grow to 9 m.
Belonging to the Rubiacee family, it develops rough and stiff branches with dark green eggshaped leaves. Native to Southeast Asia, it grows in Micronesia and Polynesia, in virgin lands still unaffected by atmospheric and environmental pollution. Its white charming scenting flowers are plucked in bunches and blossom all over the year, producing a white–cream coloured flowers. The NONI fruit – the most valuable part of the plant – is as big as a small pineapple and is covered with small reddish-brown buds containing the seeds. Each seed hangs from a small air-bladder allowing it to float on the ocean for months. Every part of the plant finds a specific healing use. The FLOWERS alleviate eye irritation, the SEEDS have a laxative power, the LEAVES soothe external inflammations and pain, the BARK has a strong astringent and anti-malarial property, and the ROOT extract lower blood pressure. However, its FRUIT has several pharmaceutical properties and contains the most precious and rare active principles. The NONI fruit contains a wide range of photochemistry prerequisite elements as alkaloids, carbohydrates, proteins, amino acids, C and A vitamins, selenium, some of which are found in no other plants. These unique, specific elements synergically act to enhance the power of each NONI component at a biological level. Nowadays, NONI is the best natural source of Proxeronine, i.e. the precursor of a vital compound known as Xeronine. One of the main functions of Xeronine is to regulate the shape and the integrity of specific proteins. Diseases, stress, traumas, environmental pollution can all create a lack in Xeronine in the human body. And without Xeronine, life is impossible. 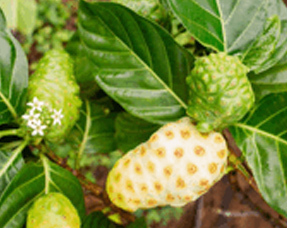 The oral or topical intake of the NONI fruit extract in the body is considered as an excellent way to increase Xeronine levels in a safe and natural way. 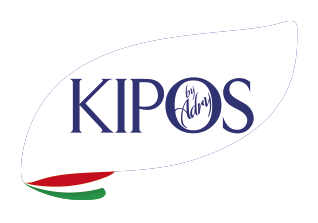 Researchers state that NONI produces deep and relevant benefits for health, namely for the prevention and self-protection from many deseases. NONI can be considered as antibacterial, analgesic, anti-congesting, antioxidant, anti-inflammatory, astringent, emollient, laxative, hypotensive, tonic and blood cleansing. The NONI fruit and seeds contain an extraordinary essential oil for skin care. Recent studies have confirmed that indigenous people used to employ it as early as 2000 years ago because of its action against skin dehydration and chaps due to the exposure to sun and wind, in addition to the fact that it slowed down skin degenerative events caused by physical ageing. NONI based skin applications have been used since the dawning of time to treat burns, abrasions, contusions, cuts and wounds. Free radicals, the major causes of ageing, can entail serious degenerative damages to our body.The phytonutrients contained in NONI contribute to protect cells from the attack of the free-radicals generated by exposure, environmental pollution and other potentially dangerous atmospheric agents. The Proxeronine, contained in the NONI fruit has remarkable anti-ageing properties, able to stop the degenerative process caused by external and internal factors. As any other organ of our body, our skin needs Xeronine. 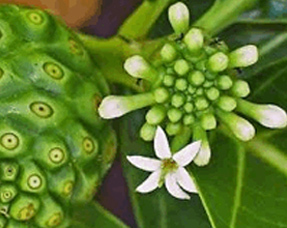 When skin is traumatized (wounds, abrasions burns, chaps), the Proxeronine contained in NONI (the precursor of Xeronine) can penetrate the affected regions from the surrounding areas and stimulate the synthesis pathway so as to bring forth regeneration and healing of the unhealthy tissue. Scientists state that the direct application of NONI poultice on the concerned skin area is extremely efficient to remove the damaged tissue and to regenerate the new one rapidly.